Getting Pregnant with PCOS - What are the Best Natural Ways to Heal PCOS? Getting Pregnant with PCOS – What are the Best Natural Ways to Heal PCOS? 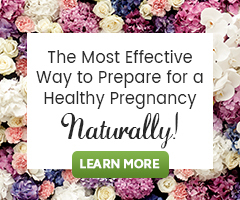 Home → Medical Fertility Treatments → Getting Pregnant with PCOS – What are the Best Natural Ways to Heal PCOS? Hi! I am … 26 years old. I’ve been married for more than 2 years with no luck in conceiving. I’ve been diagnosed by 2 OB that I am Polycystic. For my first OB, she advised me to take Metformin, Folic Acid and Fertyl. But nothing happened because we’ve stopped the treatment due to financial difficulties. The next OB, same result but different approach. She advised me to take Althea Pills and Folic Acid. We’ve been constantly taking medicines in hope that it will heal me. But nothing happened, again. So my husband and I decided to try the natural approach but we still don’t conceive. May we ask for your assistance on what are the best natural way to do in order for me to heal and for us to have babies? What are your diet and lifestyle like? What are you eating daily? Do you present with all the “typical” symptoms of PCOS; high BMI, polycystic ovaries, elevated levels of androgens (especially testosterone), and acne, or not? Your answers to these questions are important pieces to your PCOS puzzle. It is often a misconception that going to a medical doctor is going to “heal” you. In some instances this is true but, in your case, it sounds like your first doctor was focusing on some ways to help you ovulate and get pregnant, rather than fully addressing your total health when living with this condition. Your other OB then tried another medication to help with hormone imbalance, which sounds closer to the direction you want to go, but doesn’t fully address the full spectrum of considerations one must take when working with PCOS. Currently, there is no known “cure” for PCOS, but we have seen many women reverse their symptoms and go on to have a healthy life and healthy pregnancies through both medical treatments and natural therapies. From my perspective, which is a holistic one that addresses your entire life: diet, lifestyle, stress levels, health history, etc., it may be time to think outside of the box and enlist a holistic healthcare practitioner to work with you. This could be a naturopathic doctor or a certified herbalist. I know that you have tried a natural approach as well, but you didn’t say what you were trying. I think the folic acid is a good start. 1. Learn how to eat a diet specific for women with PCOS. Our guide How to Reduce the Damaging Effects of PCOS on Fertility Through Diet and Herbs will teach you all about it. Consider also this PCOS Fertility Diet Tip – Simple Food Choices to Stabilize Blood Sugar. 2. Eat a balanced breakfast every day! We offer excellent, personalized fertility consultation services that provide a holistic approach, with realistic guidance on what you can do naturally, based on your unique needs, not only to help you have a baby, but improve your health overall. Note for our readers: Fertyl is the fertility drug Clomiphene, commonly called Clomid. Althea is a combination of Cyproterone (antiandrogen drug) and Ethinylestradiol is a derivative of estradiol (E2). Five years ago I was diagnosed with PCOS.I do have insulin intolerance, I had higher testosterone but in my last screening they were normal. From 90 kilos I dropped to 71-74(I vary nowadays because I do stress more and I have urge for sweet food under stress) and I am 172cm tall. Lately I am experiencing trouble with digestion(burping and feeling nausea) but for this I have not been to the doctors.I have reduced sports in the past 8 month.I have developed hirsutism, stage IV.MY sister has also developed PCOS after her second birth, but, yet, she stayed pregnant again after it.For the past 5 month I have been trying to conceive and so far nothing, I know it is not long, but I am 27. Thx! Thank you for reaching out to us! I am sorry you are faced with such challenges. Our best resource for you is going to be our guide How to Reduce the Damaging Effects of PCOS on Fertility Through Diet and Herbs. You may also appreciate out guide PCOS Fertility Diet Tip – Simple Food Choices to Stabilize Blood Sugar. Then consider learning about the HormoneWise Fertility Kit. There are a lot of ladies on there that have conceived taking just Metformin. The Met helps you utilize insulin better which helps your hormones stay balanced, so it might help you to ovulate. Hi! I am 34 years old and was diagnosed with polycystic ovaries in 2013. Prior to 2013, my ovaries were normal. I had my daughter in 2011 and we were trying to conceive since last year but were unlucky. I am not overweight, my menstruation arrives monthly and not diabetic. My OB prescribed metformin, took it for 2 months but has no effect. Now, I’m looking for the most effective natural way to treat PCOS and eventually to be able to conceive. Do you have any recommendations? Thanks! Metformin is used to control the amount of glucose in the blood and while is most helpful if a woman is insulin-resistant or pre-diabetic, it is commonly prescribed whether she is or not and has PCOS. There are non-traditional types of PCOS where women have regular periods, are not overweight or diabetic and this is why treating PCOS is complex. Irregardless of the type, many healthcare providers of all schools of thought know that dietary changes are foundational and have seen many women very successfully support themselves by simply eating a whole-food PCOS diet. Consider also taking time to learn if you ovulate regularly. If not, there are natural therapies known to support regular ovulation as well (described in the article you will be led to when you click on the words PCOS Diet). 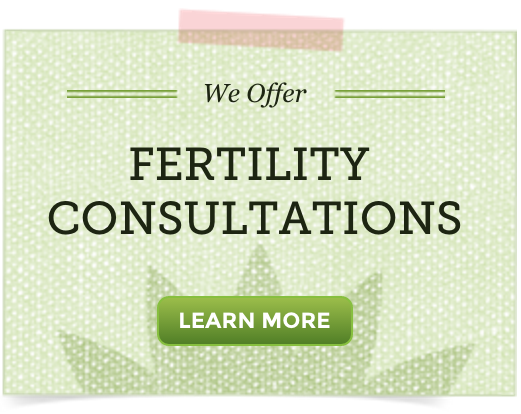 If you are still unsure of where to begin, or how to proceed, consider working one on one with our fertility herbalist who can lay out an entire natural fertility program for you based on your specific fertility health needs through a Fertility Consultation. Hi! I was diagnosed with pcos in late 2012. I took clomid for a year with no luck. My doctor had me go off clomid to give my body a rest. I started eating wheat free in January 2014 and have just found out I’m pregnant. I’ve heard lots of things about going wheat free for pcos. Worth a try! Good luck!